Atheism 101: What Do Atheists Believe? I’ve heard this question a million times. People want to know how we as atheists can believe in anything, since we don’t believe in God. The answer to this question is not a simple one, since all any two atheists have in common is their disbelief in gods, but there are a few common answers. Some of which include “I believe in the goodness of people” or “I believe in people,” “I believe in the beauty of nature,” “I believe we all have different answers to that question,” and “I believe in doing what is right.” But there are any number of answers to this question, because God isn’t the only thing people believe it. We all hold many beliefs. As such, the question “what do you believe?” is a bad question. Atheists have beliefs. We have dreams and desires to. They just don’t involve gods. However, this is a touchy question for atheists. Most people are willing to give some variation of the answers listed above, but there are two other common answers that are less positive. One answer is that the person doesn’t believe in wasting time worrying about what other people believe. This answer isn’t negative in the sense that it is mean or rude. Rather, it is an answer based on what the person doesn’t believe, not on what they do believe. Instead of worrying about belief, the people who answer in this way they prefer to worry about their own lives and how best to live them. These people generally think that there is nothing logical or worthwhile about theological or religious debates. The other answer is to say that atheists don’t believe anything. Obviously, I disagree with this. However, a lot of atheists think that “belief” is synonymous with “faith.” And “faith” to an atheist generally means “believing without evidence.” Most Atheists prefer to be as logical as possible, so anything that doesn’t suggest evidence is generally mistrusted. So, as an atheist, what do I believe? I believe that people are neither good or bad. People are people. We all make good decisions and bad decisions. Some people make more good decisions than bad decisions, others make more bad decisions than good decisions, but most of us make around the same number of good and bad decisions. And most of our decisions are simply neutral. I believe that it is important to actively seek out new knowledge. The more true things we know, and the less false things, the better off we are. I believe that it is important to travel. I want to see the world. I believe it is important to help people, but we must be aware of how our actions affect the people we set out to help. Expecting everyone else to be able to achieve what I achieve is ridiculous, because we aren’t all born in a position of equal opportunity. But sometimes, by trying to help others, we actually do more harm than good. I’m a feminist, so I believe that men and women (and everyone else) should be equal. I’m a Socialist, so I believe that it is the governments job to help its people lead comfortable, safe lives. And, of course, I believe there are no gods. In fact, I believe there is nothing supernatural whatsoever. I believe in many other things too, but I think I’ll stop here for now. My point is, atheists hold many beliefs as is anyone else, we just also happen to not believe in gods. This is a simple question with a simple answer, but there is a lot of misinformation surrounding atheism. 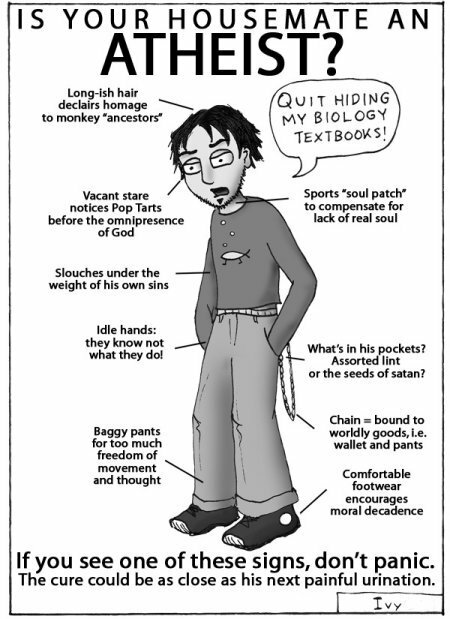 As such, I think it is important to go into quite a bit of detail about what an atheist actually is. This post will be in three parts: the first part will discuss what atheism is, the second part will discuss the idea of different types of atheism, and the third part will discuss how someone can be an atheist. Let’s begin with what atheism is. 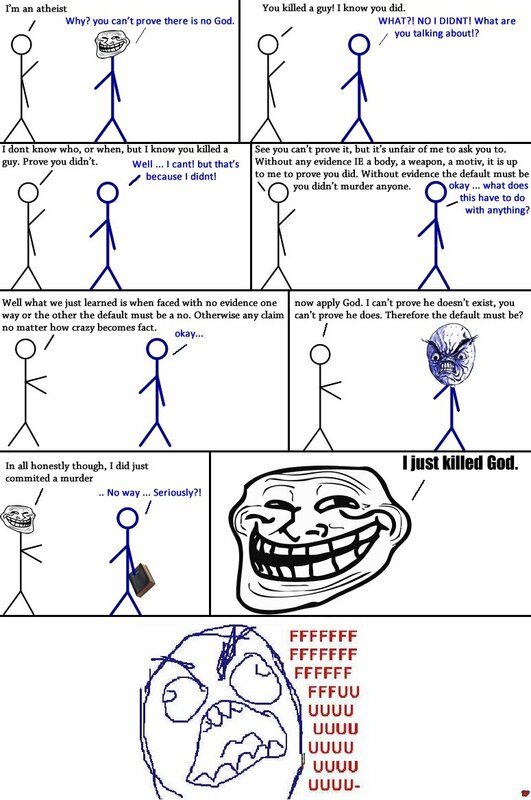 To put it simply, atheism is the belief that gods don’t exist. As I stated before, this is a simple answer, but it is surrounded by misinformation and disagreement. The definition of an atheist is “a person who believes gods do not exist.” This definition can be found in dictionaries and online (although some definitions are Christian-centric). Both definitions make it clear that atheism is characterized by a lack of belief in gods, or in their existence. Many people assert that the absence of belief comes about by deliberate choice. That atheists believe that they chose to become atheists. Many Christians often use this claim to assert that atheists are choosing to spend eternity in hell. However, the possibility of an inability to believe in gods is often ignored outside of atheist circles. Many theists believe that, since they cannot imagine not believing in their god(s), atheism must be a deliberate choice made by the atheist. It seems odd to me that a theist would be so willing to say that they could never choose to be an atheist, but then are quick to tell an atheist that they must have chosen. Personally, I do not believe I chose to be an atheist. In fact, I tried very hard to prevent myself from becoming an atheist. Atheism is also accused of being born out of ignorance of religious teachings. For some atheists this is true. Some people are not raised religious, and they simply do not believe in gods because they were not taught to. These people might not have any knowledge of religious teachings. But the vast majority of atheists were raised within a religion, and they tend to have as much knowledge, if not more, about that religion as do their peers and many atheists try out numerous religions before concluding that they are atheists. As such, it cannot be assumed that an atheist is ignorant of Christianity. Some people believe that atheists are either strong or weak atheists. They believe that a weak atheist merely has an absence of belief in gods. Meanwhile, they believe that strong atheists actively believe that particular gods, or all gods, do not exist. I can understand the wish to believe this: it makes it possible to discuss “those good atheists” as opposed to “those bad atheists.” However, I do not believe this view holds any relevance. In my experience, an atheist, regardless of whether they claim to believe that gods don’t exist or to merely lack a belief in gods, is an atheist to the same degree as every other atheist. We have different reasons to word our disbelief differently, but it is not any more or less of a disbelief. The differences between atheists do not lie in this realm, they lie in the realm of what we add to our atheism. We’ve covered the fact that atheists don’t believe that gods exist, but why don’t atheists believe in gods if we know that there is no proof that they don’t exist? Simply put it is because there is no reason to. There may not be evidence that gods don’t exist, but that doesn’t matter because there is also no evidence that those same gods actually do exist. We aren’t placing a bet, we are stating a belief. Without evidence to hold a belief, why would we hold it? This seems to be a complicated idea for many theists to understand: most atheists don’t think that there is proof that gods don’t exist. Rather, we think that it is more likely that they don’t exist, because, if they existed, there should be ample evidence of their existence that would convince everyone. After all, in the majority of mythology (including the Bible), gods made their existence fairly obvious by actually interacting with humans. According to a recent Pew Religious Landscape survey, 14% of people who call themselves atheists say they believe in God or a universal spirit, including 5% who say that they are certain about the existence of God or a universal spirit. This leads one to wonder: are they atheists? After all, claiming to believe in and god goes against the definition of what it means to be an atheist. In my mind, I would say that they aren’t atheists. While I believe that it is not for me to tell a person what labels they can or cannot have, I do believe that allowing anybody to label themselves however they want destroys any meaning that the label would hold. I do not think that somebody who doesn’t believe in the existence of Jesus should be considered a Christian, because Jesus as the son of God is a very important part of being a Christian. I wouldn’t tell someone that they aren’t a Christian because they don’t fit my definition of a Christian, but I would tell someone that they aren’t a Christian if they don’t believe in God or Christ. Likewise, I won’t tell someone that they aren’t an atheist because they aren’t my kind of atheist (though it is tempting to do so at times), but I will tell somebody who believes in a god that they aren’t an atheist, because atheist is the belief that gods don’t exist. There are also many people who fit the dictionary definition of an atheist, but they don’t call themselves atheists. This makes more sense to me than someone who believes in gods calling themself an atheist. This is also why reason why I don’t want to force labels on people. Atheism is a widely misunderstood, and mistrusted group. There are many misconceptions about atheism, and it is often scary to be an atheist. People have been fired for being atheists, some people have even been murdered. And even those of us who face no risks as far as our lives and livelihoods go face a certain level of discrimination. I have lost track of the number of times I have been told that I can’t be moral, and it is both accepted and expected that people will be openly hostile towards me for no better reason than because I’m an atheist. Who would want to apply a label to themself when they risk discrimination for it? Especially when calling oneself an agnostic or a non-theist doesn’t cause the same reaction. And even many non-religious people view atheists as the assholes while agnostics and non-theists are viewed as kinder and more PC (it’s funny how people like the idea of people being PC when it makes them comfortable, but they hate it as soon as it tells them they can’t be assholes). It is important to acknowledging that “atheism” may mean different things to different people, and that their personal definition may not fit the conventional understanding of the word, but it is also important to understand that definitions exist for a reason and watering them down too much only causes them to become useless. 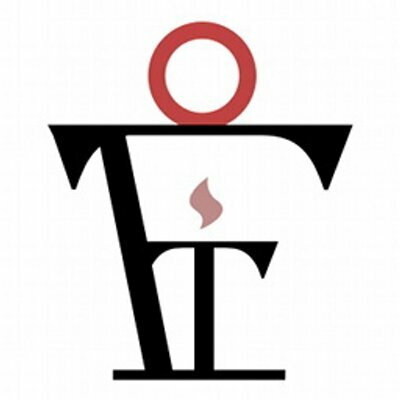 It has been argued that someone may take an active dislike to institutionalized religion, but they may still believe in some sort of a deity, so they may adopt the title “atheist” as a kind of protest against the institution that they disagree with. I understand this disagreement, however, there are better labels to use. For instance, many people prefer “spiritual” if they dislike the institution of religion. Being spiritual allows one to maintain their belief in a god, but being an atheist doesn’t. It has also been argued that some of the survey respondents may consider themselves atheists but use the term “God” to refer to abstract laws of nature or the principles of the universe. This seems odd to me, but less problematic. Rather that watering a term down, one is simply adding another term to a definition. This doesn’t water the term down, but it does make communication more difficult. The article that discussed the survey suggested the concepts of narrow atheism and wide atheism as ways to understand how someone could be both an atheist and a theist. It was suggested that someone might be a narrow atheist if they don’t believe in a god in the sense that it is commonly accepted by Western society, but they might still believe in some sort of a spiritual force. A wide atheist simply rejects any concept of the supernatural. Personally, I don’t like these concepts. Atheism and theism are already in a binary relationship. You are either a theist and believe in gods, or an atheist and don’t believe in gods. Further more, this is not a problematic dichotomy in that it does not dismiss anyone’s identity. Adding the definitions of wide and narrow atheism doesn’t add anything, but it does water down the concept of atheism. It also doesn’t help atheism gain acceptance within mainstream society. I have already discussed a couple of categories of atheism. However, those were not the categories I meant when I said that I would discuss different types of atheism. Rather, I was concerned with the categories that indicate what people add to their atheism. These types are types that I ave not considered in the past, but thought were worth sharing. The first category is the Intellectual Atheist. This is said to be the most common type of non-believer according to The Pew Research Center with nearly 38 percent of atheists being Intellectual Atheists. It is said that these atheists enjoys intellectual discourse. While they are often very certain about their beliefs, they don’t tend to have a holier-than-thou attitude. Unfortunately, Intellectual Atheists are often judged as being dogmatic because they tend to join skeptic groups or otherwise find avenues to discuss non-belief with others. They like to debate religion, but they don’t chase down believers to argue with them. Since this category describes me perfectly, I may be of this type. However, as you will see, I also fit into other types. The second type of non-theist is the Activist. These atheists are also commonly accused of being dogmatic, but, like the intellectual atheist, they are set in their beliefs but intellectually flexible and don’t try to attack the religious. Activists are motivated by humanist values and wish to make the world a better place. They often deal with other issues on top of their atheism, for example, feminism, LGBT rights, or pseudo-science. They also tend to advocates for a more egalitarian atheist community. As a result, they often attract a lot of abuse from some atheists who disapprove of linking secularism with larger social justice issues. They make up 23 percent of non-believers. 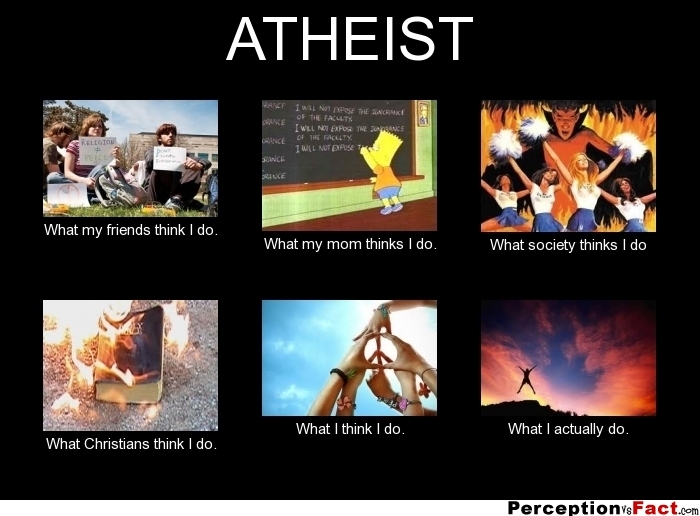 I also fit perfectly into this category, and I rejoice at the thought of 23 percent of atheists being Activists. 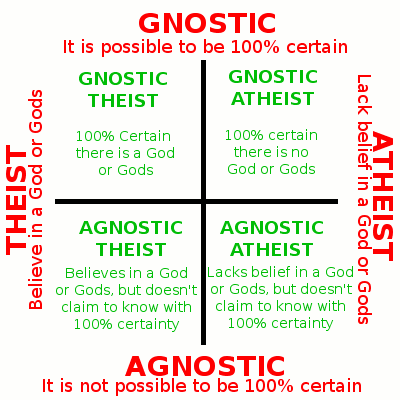 The third type of non-theist is the Seeker-Agnostic. They only makes up 7.6 percent of non-believers, and are unlikely to be very critical of religion, as compared to the other categories. They prioritize not-knowingness, which seems silly and pointless to me. They apparently don’t really believe in anything, and they seem to be uncomfortable committing to non-belief completely. They tend to get accused of intellectual cowardice by atheists. While I don’t believe they are cowards, I do believe that they aren’t willing to admit to a belief that they in fact hold (that being whether they think a god exists or not). But, as I said earlier, I understand this willingness to not label oneself. The next type is the Anti-Theist. Anti-theists tend to be conflated with all atheists by theists, but they only make up around 15 percent of non-believers. Like Intellectual Atheists, they enjoy debating religion, but they tend to be much more aggressive about it and are willing to actively seek out religious people to debate with them. While atheists generally limit themselves to supporting a more secular society, anti-theists tend to view ending religion as their real goal. Personally, while I don’t see ending religion as the main goal, I also don’t see a problem with this goal. However, I do have a problem with how aggressive anti-theists are towards the religious. I don’t find such aggression helpful. However, type of atheism does have a time and a place. The next type is the Non-Theist. They simply don’t believe in any gods. They don’t think about those who do very often, or rather, they don’t think about belief in gods very often. They only make up 4.4 percent of non-believers, probably due to the fact that religion makes up such a vital part of society. I know a number of people in this category. While I don’t think that religion is something to take so lightly, I do understand the wish to see religion this way. I also hold no ill-will to those in this category. The last type is the Ritual Atheist. They make up 12.5 percent of atheists. They don’t really believe in the supernatural, but they do believe in community, and they enjoy this aspects of religious tradition. Ritual Atheists tend to align themselves with a religious tradition even while professing no belief, which seems to bother both religious and non-religious people. While I don’t do anything like Sunday Assembly, I do like a lot of the tradition surrounding Christianity. I have actively tried to move away from a lot of it in order to create my own traditions, but I think community is important, and I’ve always enjoyed traditions. As such, I could probably easily fit into this group. While I understand breaking atheism (or non-belief) up in this way, these categories are not perfect. As you can see, it makes it easier to understand the motivations of different atheists, and it separates atheists in a different way that doesn’t try to suggest different ways of disbelieving. But it is problematic in that it suggests that you can only be in one category. As you can see, I fit nicely into three of those categories, so it is too simplistic to say that you can only be in one category. So how can someone be an atheist? Or rather, what makes someone an atheist? Why would someone want to be an atheist? And does wanting to be an atheist matter? Here is some advise that can teach what it takes to be an atheist, but it cannot make someone an atheist. The only required step is to not believe in any gods. If you assume that there are any other requirements to being an atheist, then you do not understand what an atheist is. Unfortunately, a lot of people do believe that being an atheist has other requirements. We all come to our disbelief in different ways. For some people, not believing in any gods can be difficult. They may be afraid to give up their belief, or they may see it as impossible to disbelieve. Those in the latter category don’t generally become atheists, but, if they do, it tends to take them years to lose their belief. Other people come to atheism a lot easier. For them, it is natural. Many of them realize that they never truly believed, or that they stopped believing at a young age. This is the category that I find myself in. However, what’s more difficult is determining what to do after you realize you don’t believe in any gods any more. You don’t have to do anything other than not believe to be an atheist, but coming to the conclusion that there are no gods can challenge a lot of your deeply held assumptions and lead you to question, and even change, a number of your other beliefs. It happened to me. My advise would be to do research and determine why you believe something and whether that justification still makes sense to you. If it doesn’t, don’t feel ashamed about changing beliefs. The most difficult thing about becoming an atheist is how people will treat you. If you come from a religious tradition, then you likely know more people who are also part of that tradition than are outside of it. As such, people will start treating you differently if you tell them that you don’t believe in their gods any more. This could range anywhere from people questioning why you would stop believing and wondering if it’s a phase to being actively hostile towards you. You may lose friends and family. However, as daunting as it can be, you can find a community of like-minded individuals. 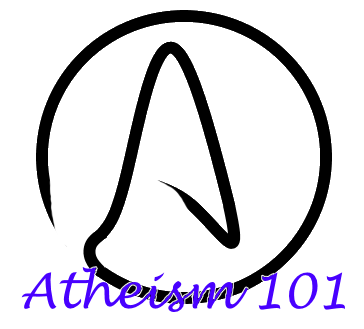 This will be the first post of our Atheism 101 series. 2) What do Atheists Believe? 3) How is Atheism Different from Other Forms of Non-theism? 9) Why do Atheists Debate Theists? 10) Why do Atheists Care What Theists Believe? 12) Why Aren’t Atheists Theists? 14) How do Atheists Live? 16) Why Be an Atheist? 16.1) What Does Atheism Have to Offer? This series is meant to help non-Atheists and new (as in new to Atheism) Atheists understand what atheism is, why someone might be an atheist, and how to talk to an atheist and about atheism in a way that is mutually beneficial and respectful. It is meant to help eliminate misunderstandings and create an environment of mutual respect. Comments will be encouraged, and are appreciated, throughout the series. However, insults and attacks will not be tolerated. We are not forcing anyone to accept atheism, and we are not attacking theism. Please do not attempt to convert us either. And please show everyone in the comment section the same respect. This is about education and understanding, it is not about being right or arguing.